Heterogeneous networks combining both wired and wireless components – fixed routers as well as mobile routers – emerge as wireless mesh networks are being deployed. Such heterogeneity is bound to become more and more present in the near future as mobile ad hoc networking becomes a reality. While it is possible to cope with heterogeneity by employing different routing protocols for the fixed / wired part and for the wireless / ad hoc part of the network, this may lead to sub-optimal performance, e.g. by way of longer routing paths due to these routing protocols sharing prefixes and ”connecting” the network only at distinct gateways between the two routing domains. Thus, the establishment of a single unified routing domain, and the use of a single routing protocol, for such heterogeneous networks is desired. OSPF is a natural candidate for this task, due to its wide deployment, its modularity and its similarity with the popular ad hoc routing protocol OLSR. Multiple OSPF extensions for MANETs have therefore been specified by the IETF. 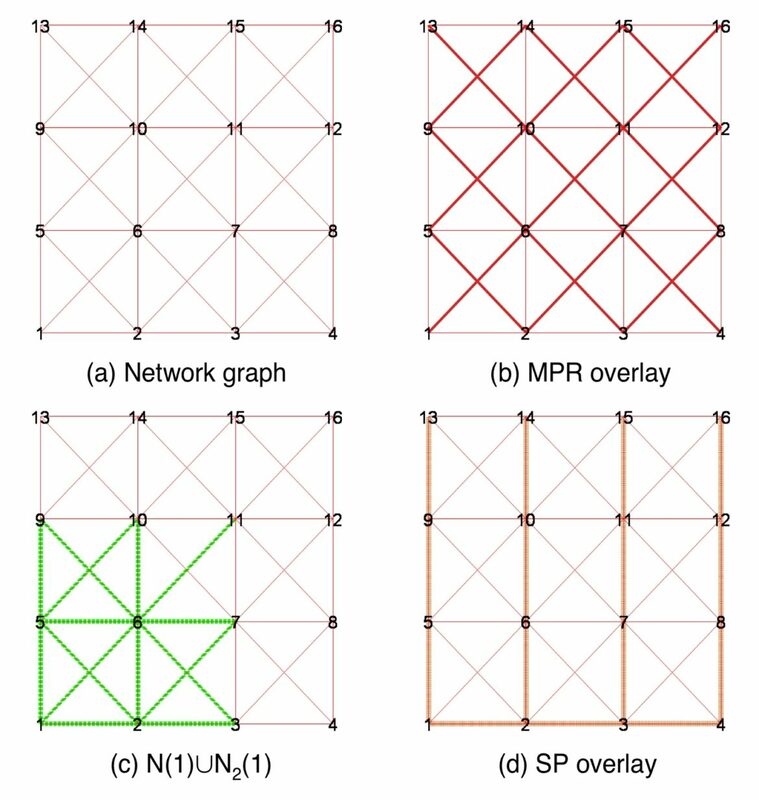 This paper introduces a novel OSPF extension for operation on ad hoc networks, MPRSP, and compares it with the existing OSPF extensions via simulations, which show that MPR+SP outperforms prior art.